As the Phoenix enter the 2019 AUDL season, they will look to their captains to lead the team both in their preparation for East division opponents and as leaders to propel the team in crucial games. Lucky for Phoenix fans, the team will have some of Philadelphia’s top players at the helm this season. 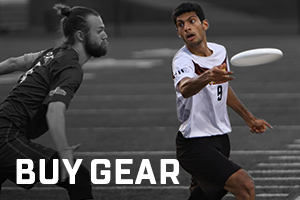 Himalaya Mehta has been playing ultimate professionally for five years. He was introduced to the sport in 2007 when friends created a team at Franklin Regional High School, located outside of Pittsburgh near his hometown. In his first game, he played chaser in the zone and was instantly hooked. Mehta went on to play for the University of Pennsylvania, becoming a starter and captain. Among his greatest ultimate accomplishments, he counts making the 2017 National Championship Tournament with his club team at the time, Philadelphia Patrol. Entering his second season with the Phoenix, Mehta is recognized as a fast receiver, a relentless offensive presence as well as great teammate. He will captain the Phoenix O-line as a starting cutter for the coming 2019 season. Mehta’s family immigrated to the US from Gujarat, India making him a first-generation American. He currently works as an actuary in the healthcare industry. East Norriton native Eric Nardelli’s first foray into competitive ultimate was as a senior year in high school, playing with his high school’s newly formed team at Pennsylvania's state tournament in 2011. He later began playing consistently as a sophomore at the University of Delaware, where he is now Head Coach for the men’s team. Nardelli soon joined the ranks of club play, quickly earning roles as a starter and captain. Currently he is coming off a banner year having won the 2018 National Championship Tournament with his co-ed team, Philadelphia AMP. He made the transition into professional play with the Phoenix in 2015. This will be his fifth straight season with the team, marking the most consecutive seasons a player has had with the Phoenix in team history. During the 2018 season Nardelli was one of the team’s most productive defenders. As an explosive cutter and physical defensive presence, he makes an excellent captain for the Phoenix D-line and a force that East division opponents will have to reckon with. Nardelli works as a civil engineer focusing on traffic design. Sean Mott hails from nearby Yardley, Pennsylvania. He started playing ultimate as a backup sport during his junior year at Pennsbury High School. A former soccer player, ultimate has now become his primary sport. He started playing professionally with the Phoenix in 2014, marking 2019 as his fifth with the team. Mott is a smart and fearless player; his quick footwork, explosive verticality and arsenal of throws make him a constant threat for defenders. He has recently secured a slew of accolades: AUDL Top 25 Players Under 25, a Top 5 AUDL Scorer in 2018, and the only player in the league with 50+ assists and 40+ goals in each of the past two seasons. Mott credits his family, full of athletes, for helping to make ultimate a big part of his life by encouraging him to try any and every sport to find one that he truly loved. He is looking forward to matching up with frequent East division leader Toronto Rush this season, and showing the East he has yet to hit his ceiling. Outside of ultimate, Mott works with his family’s landscaping business.